… I’m just a little behind in prep for tomorrow’s card class. I KNOW exactly what we’ll be doing, I just haven’t quite created them all yet. But, I have now done one! Here’s the first card for the class – a great one for blokes. 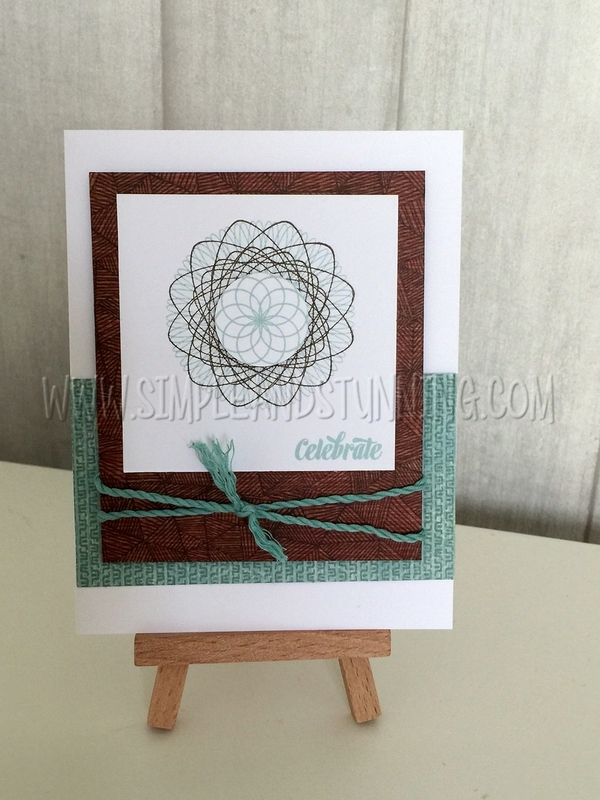 This card uses the stamp set Dizzy Circles. 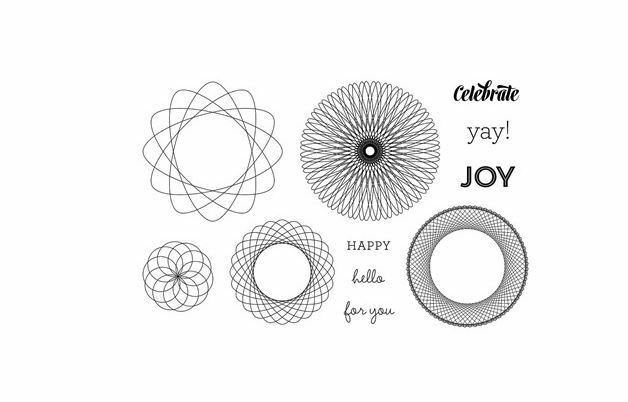 For me, it instantly took me back to my childhood, playing with Spirographs – did anyone else spend hours creating with the spirograph templates you could get??? Here’s what the stamp set looks like – you’ll see you’ve got lots of options to truly play with finished effects. Now, stay tuned for the next two installments!